In the construction industry, resources come in all shapes and sizes. Some firms focus solely on engineering and architecture, while others limit themselves to the hands on building process itself. Some are masters of design with no implementation practises in place, while others can provide the research and development expertise with no real world application. However there are some construction companies that offer an end-to end solution from design to build. FRAMECAD is a pioneer in integrated, design-led building, merging the design, engineering, development, and manufacturing process into one efficient, effective, and innovative practise. The development of the FRAMECAD system started 25 years ago and has continued to evolve through our dedicated and highly skilled R&D team based in New Zealand. Ongoing investment in R&D enables FRAMECAD to innovate with new software upgrades and manufacturing equipment capabilities every day. With its strong R&D commitment, and ongoing drive to innovate, the FRAMECAD System is able to go leaps and bounds beyond what other building design and construction systems can accomplish. Architecture isn't the only design feature necessary to achieve a successful light gauge steel building project outcome. 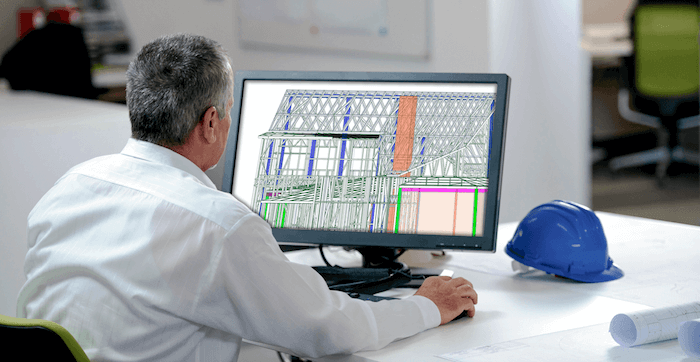 Many LGS construction firms can design an attractive, functional building, but few can rival the engineering data and development the FRAMECAD system can offer. With our innovative system, it's easy to determine how every final building project can become safe, reliable, and comfortable. By featuring global design codes for the USA, Canada, EU, Brazil, Russia, South Africa, and Australia/ NZ, it's possible to ensure your design meets building codes around the world without the steep costs associated with a hired engineer. In most construction projects, quality can easily be called into question, especially when humans are overseeing the design and production process. With FRAMECAD's system, however, it's much easier to ensure an error-free process, using the full functionalities of the Structure and Detailer Software suite, you will be provided with detailed engineering analysis and status reports, 3D optimisation and review functionality. Once the design has been approved, it is sent to the manufacturing system using the integrated FACTORY2 software which can provide detailed workshop drawings intended for easy fabrication and erection, streamlining the process and reducing the risk of mistakes. FRAMECAD's software can also produce a complete design file to allow for an efficient production process concentrated on fast, precise building. Construction, especially for large scale buildings projects, can be expensive, but being able to reduce the human workload during the manufacturing and assembly stages by using the FRAMECAD System can significantly cut down on costs, leading to substantial savings over the course of a project. In addition, manufacturing planned around the FRAMECAD software offers a bill of materials that report function which generates as little waste as possible, and ensures accurate quantities of building materials are ordered. Other LGS systems may list out items needed but cannot interpret when pieces should be cut in order to maximise efficiencies, assembly time and money on unnecessary supplies. With a streamlined design, engineering, and planning process, everything is ready to go when production begins. Materials, once processed, can be easily assembled with pre-punched holes and software-generated instructions printed on the frames and on the workshop drawings, allowing construction teams to put together final products in no time. With lightweight pieces and easy to use screw guns, assembly can be completed without the use of heavy machinery or large teams, propelling the process in a unique way that eliminates delays from material preparation to final installation. To save money, time, and energy, FRAMECAD's LGS system is the only one of its kind in the world. With virtually zero waste, reduced costs, high quality, high accuracy and rapid production, it's possible to spend as little as possible on materials while accelerating the building process in a safe yet effective manner. By incorporating an ongoing focus on Research and Development for last 25 years, FRAMECAD is recognised as the industry leader and innovator in the LGS construction market. It's clear FRAMECAD is in a class all of its own. Like what you've read? Watch our quick video on best practice frame manufacturing here.